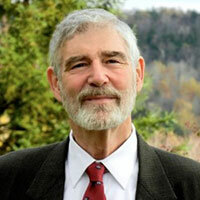 Michael O'Brien, born in Ottawa, Canada, in 1948 is a well-known writer on religion and culture. His essays have appeared in several international journals and anthologies concerned with these topics, urging the people of the Western world to examine the negative effects of materialism, and to rediscover authentic spiritual sources in the absolutes of the Christian faith. Both his written work and visual art have been reviewed and reproduced widely. He is an author of several books, notably his seven volume series of novels published by Ignatius Press of San Francisco. The first volume, Father Elijah, published in 1996, has sold more than 40,000 copies in hardcover, and subsequent novels have also sold well. Harrowing story, in-depth characters: this is a book that's fine literature. There aren’t many authors who do character development with the same thoroughness as Michael O’Brien. And, say some of my reading pals, few use as many words as he does either. I can only laugh, because however slowly his novels may move at times, he captures me with his prose and holds me. His newest novel, The Fool of New York City, is one of the shorter books he’s written: at under 300 pages, it’s not even very hefty. The story within the covers, though, is filled with characters who you know and love by the end, who may fill your mind with their own stories if you let them. Francisco is found by Billy, and the two become friends. Billy takes care of Francisco and tries to help him remember his life; because of his amnesia, he’s convinced he is Francisco de Goya (as in the 18th century painter) and just aging a lot differently than the rest of the world. O’Brien’s characters are long on character: Billy is at least 7 feet tall, lives in an abandoned building that he’s remodeling, keeps hens on the roof, and views himself as a rescuer. He’s simple in a way that’s pure innocence and good in a way that’s sheer saint. And if I’m talking as though I’ve met him, it’s because that’s how I feel after reading this book, that I met Billy Revere and shared some omelets with him, perhaps watched him as he jogged through Central Park. Francisco eventually finds his way into his true identity, thanks to Billy’s patient support and help. There’s even a bit of a “happily ever after” to this (not so un-O’Brien-like, that)…but not without some wondering. There were parts of this story that were harrowing and there’s a depth of feeling that I appreciated…I didn’t relate with the specifics, but there’s a mourning and a sorrowing within the story, central to both the main characters, that is, quite possibly, very human. It’s beautifully extracted and woven together in a beautiful tapestry.